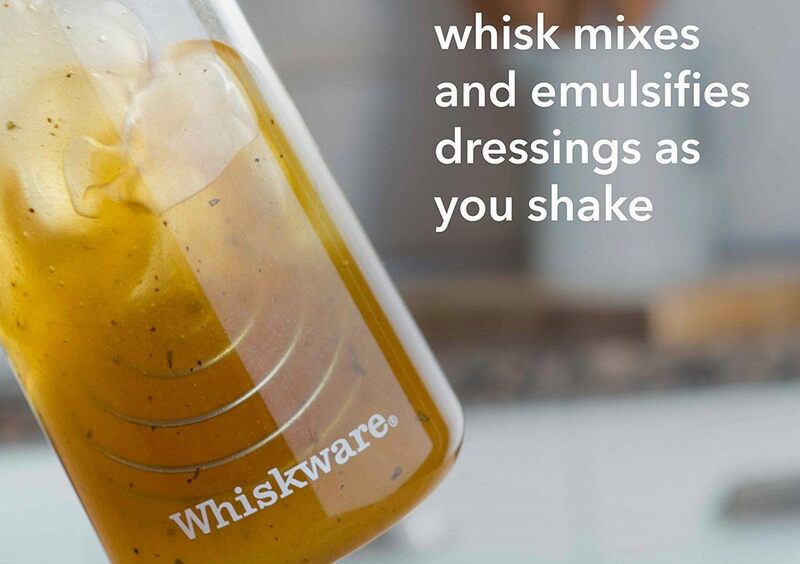 Whip up some seriously tasty flavors with the Whiskware Dressing Shaker with BlenderBall. 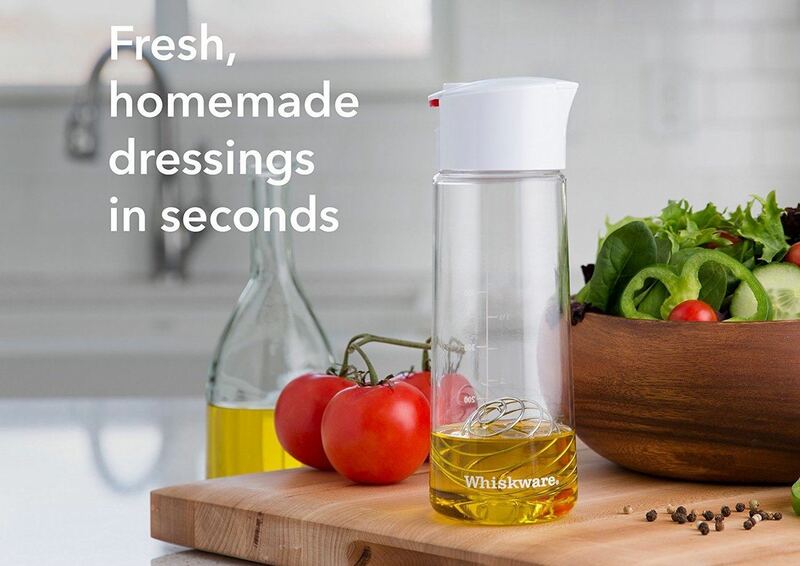 Made of tough yet elegant glass, this carafe can be used to blend salad dressings, marinades, vinaigrettes, sauces, and more to bring right to the table. 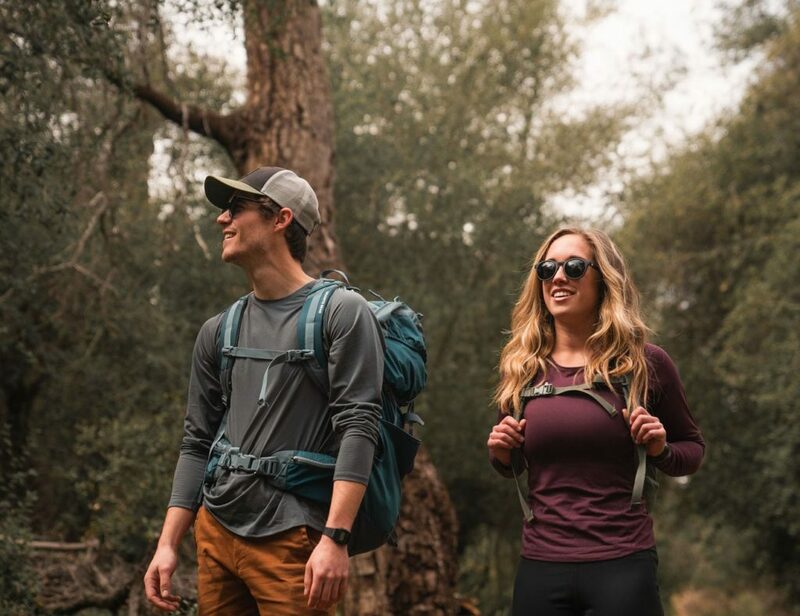 Equipped with the stainless steel BlenderBall, the Dressing Shaker is an efficient system that quickly and efficiently blends every ingredient – it can even keep oil and vinegar mixed together for up to an hour. 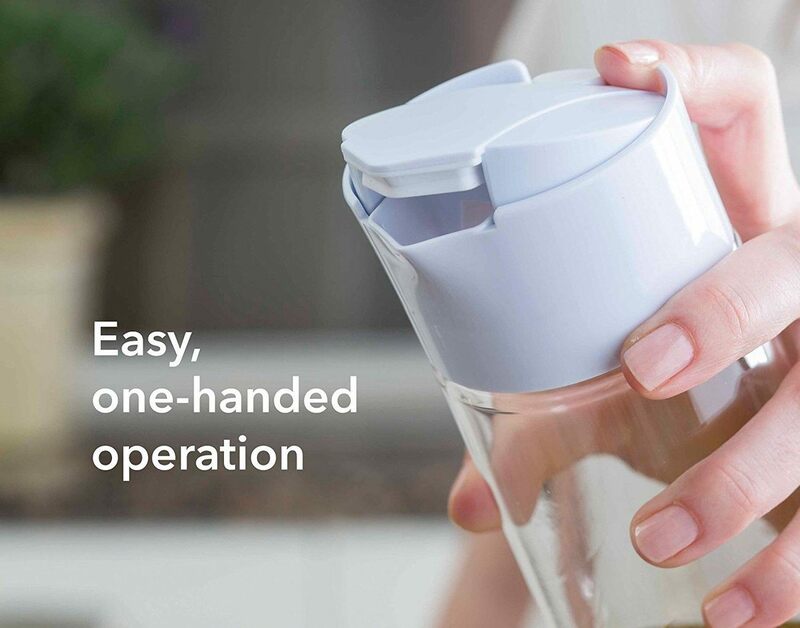 The top of the Dressing Shaker holds an easy to open lid that can be operated with just one hand to pour out the mixture from the auto-closing spout. 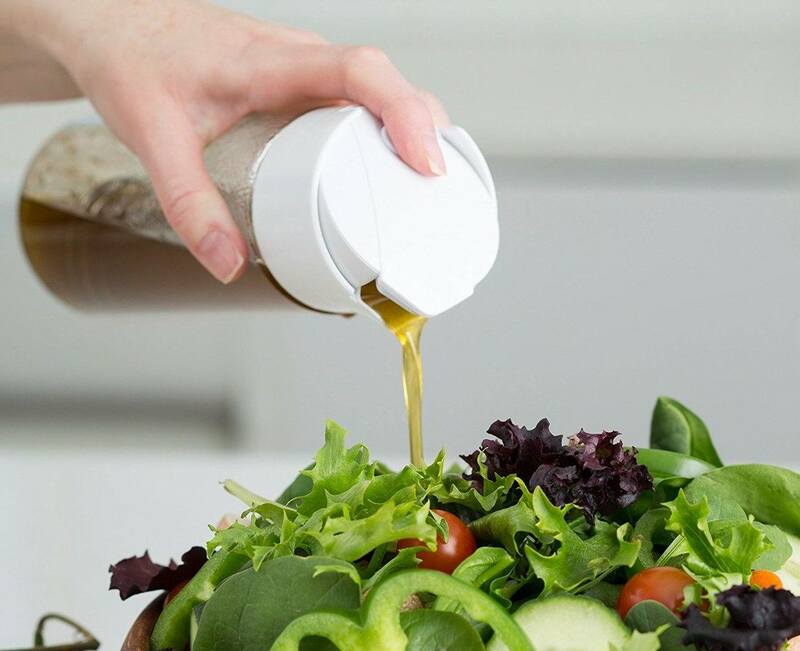 Also available in plastic, the Dressing Shaker holds up to 2.5 cups of your favorite blends and mixes.